The project name of the sound collective is not connected to the debut album of Sven Väth, because Jena in Thuringia has its own ‘paradise’, a huge park in the middle of the city called Paradies. Right here in 2008, No Accident In Paradise played for the first time in form of an ambient live session, coupled with moving images. A stroke of luck, yet still it’s more than just an ‘accident in paradise’. The culture of relaxation is in modern excursion behavior an almost forgotten refuge. The formerly loved intoxicating chill-out floors, the soul salvations of every house and techno party are lost in the 90’s. Although still, ‘brain dance’ is as well as pure bodily enthusiasm a human dynamic that let us experience music in a sensual way. After the rave party is over, one is searching for a special place of sonic relaxation. That in a nutshell is what No Accident In Paradise does. They build acoustic rooms that make one belief these can be touched. 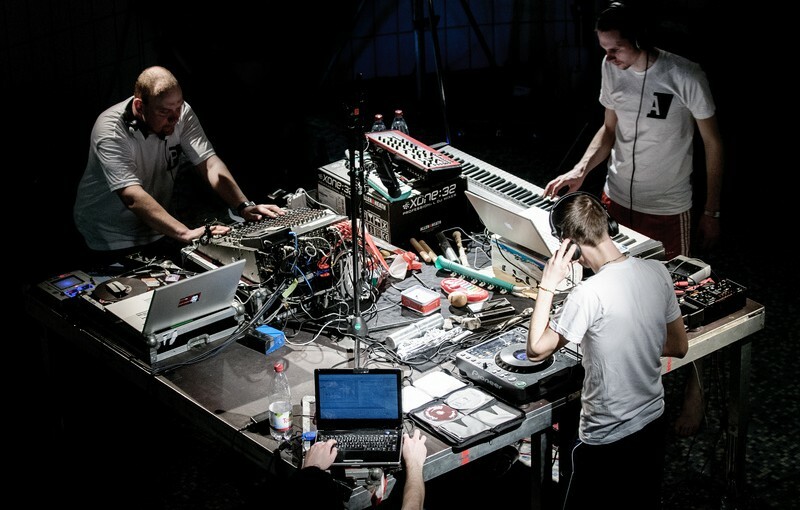 The extraordinary about No Accident In Paradise is their live arranged and improvised balance between electronic and acoustic sounds, coupled with tone fragments and sound snippets that have a direct relation to the performance venues. No Accident in Paradise are Stachy [micro:form], Albrecht Ziepert (Pentatones) and Inannia. For very special occasions the visual artist Robert Seidel and his ‘living paintings’ accompany them. 2014 appears their first album „Asymetria“ complemented by a rework from Birds Two Cage (Daniel Stefanik & Juno6), released on Freude am Tanzen. Listening to No Accident In Paradise means either a holiday from life, or life long holiday.